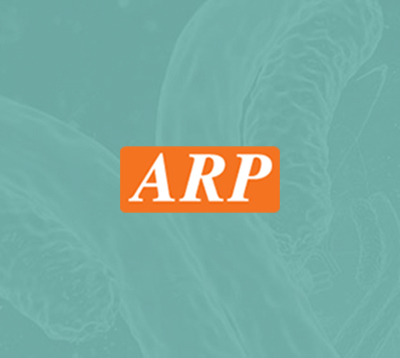 Calreticulin, 18-417aa, Human, 01-1824 | ARP American Research Products, Inc.
Calreticulin is the major calcium binding protein found in smooth muscle sarcoplasmic reticulum (SR) and non-muscle endoplasmic reticulum (ER) membranes. Calreticulin can inhibit the binding of androgen receptor to its hormone-responsive DNA element and can inhibit androgen receptor and retinoic acid receptor transcriptional activities in vivo, as well as retinoic acid-induced neuronal differentiation. Thus, Calreticulin can act as an important modulator of the regulation of gene transcription by nuclear hormone receptors. Recombinant human Calreticulin protein, fused to His-tag at N-terminus, was expressed in E.coli and purified by using conventional chromatography techniques. cC1qR, CRT, FLJ26680, RO, SSA, Autoantigen RO, CALR, CALR protein, Calregulin, Calreticulin, CRP55, CRTC, ERp60, FLJ26680, grp60, HACBP, Sicca syndrome antigen A.
Kropp LE., et al. (2010) J Immunol. 184(10):5619-27. Singh P., et al. (2010) J Biochem. 147(5):625-32.